Used for testing S100 bus and general debugging. 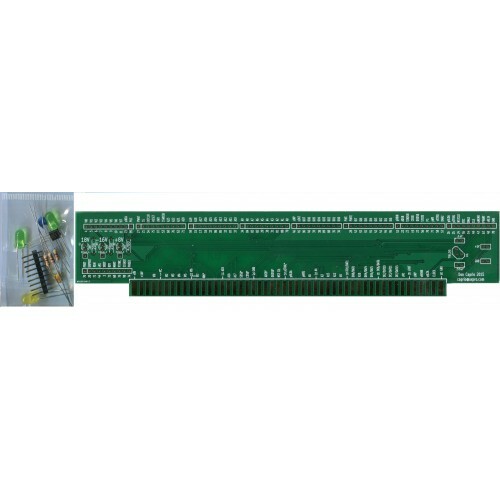 Mounts in your existing expansion board and provides easy and convenient test points for all bus signals and voltages. All pins are marked with signal names. Test points are typical PCB holes which can be used bare or you can solder pins in to connect a logic analyzer. All 100 pin's silk screened with bus names.